DT: The best support I can give as your elected municipal representative is to listen and act on the recommendations of engaged citizens such as yours . Sustainability means protecting the existing natural resources and reclaiming that which we have lost. 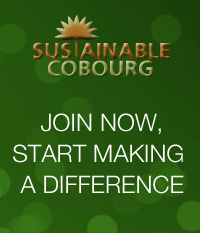 I believe we must focus on efforts that will guarantee the next generation can actively live in Cobourg in a clean non-toxic environment. As Deputy Mayor I would focus on expanding our trails and bike paths. I would look for better efficiencies in the use of energy consumption. I would promote solar panels, LED lighting and naturalization of our waterfront. Through budget deliberations I have supported bike lanes, initiated walk Cobourg program and been active the formation of an active transportation committee.